Born and raised just outside of Chicago, singer-songwriter Kim Schaefer has been performing since she was 16. Combining a powerful voice, angelic falsetto, and unapologetic acoustic guitar strumming, Kim creates a sound that is uniquely hers. Clive Davis of Columbia Records (and Janis Joplin fame) says of Kim, “You’re a talent. You have a beautiful voice and you’re a unique songwriter. 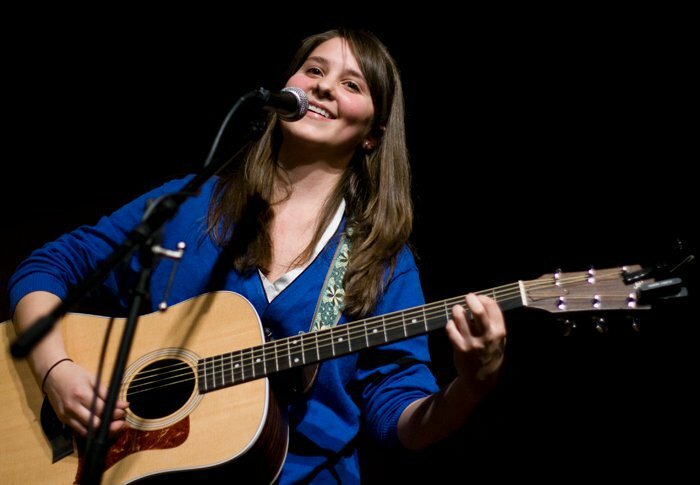 Keep it up.” Throwing songs in her set from Johnny Cash, the Beatles, Brandi Carlile, Mumford and Sons and more, Kim’s eclectic mix of covers and original tunes will keep your toes tapping. Her live show is not to be missed. Kim will perform at Touhy Park on July 11 at 5:30 PM and July 12 at 1:30 PM.